Python script to harvest pictures from specific Instagram accounts. As a Raspberry Pi owner I am always tinkering and trying to think of new things to do with it. I had the idea to write a script to download all pictures from some of my favorite Instagram users. 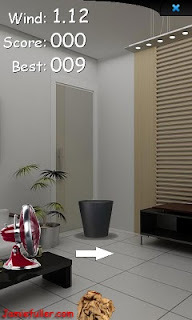 2) Download all pictures even on multiple pages. 3) Ensure that it's always downloading the high-res version of the image. 4) Stop downloading once it reaches an image it has already downloaded. 5) Send me a notification of what if any new downloads are available. So I set out writing it and below is the results of my efforts. 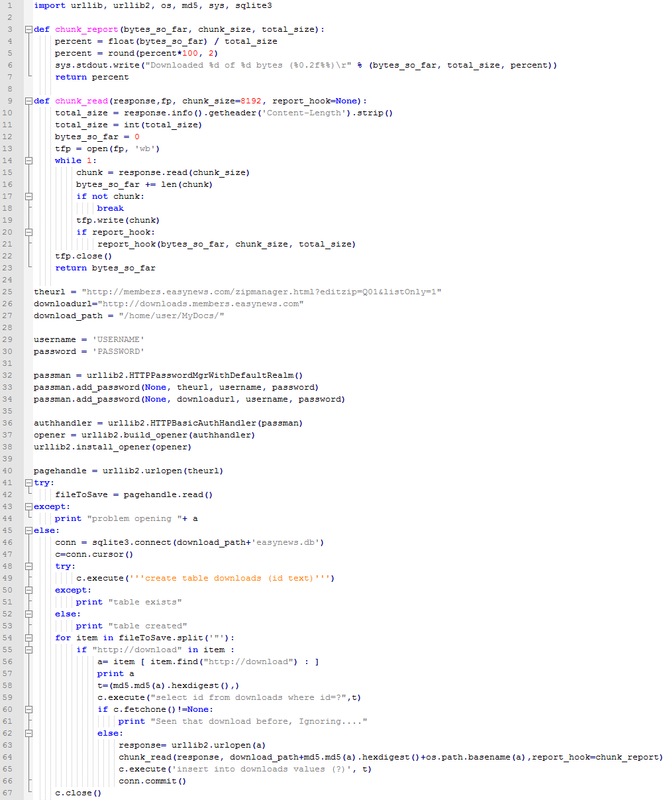 It isn't pretty, I can't guarantee it won't crash, and if Instrgram tweak their code base too much the scraping will probably break but here it is in all it's glory, hopefully some other users might find it useful. NOTE: this will only download from public Instagram accounts. 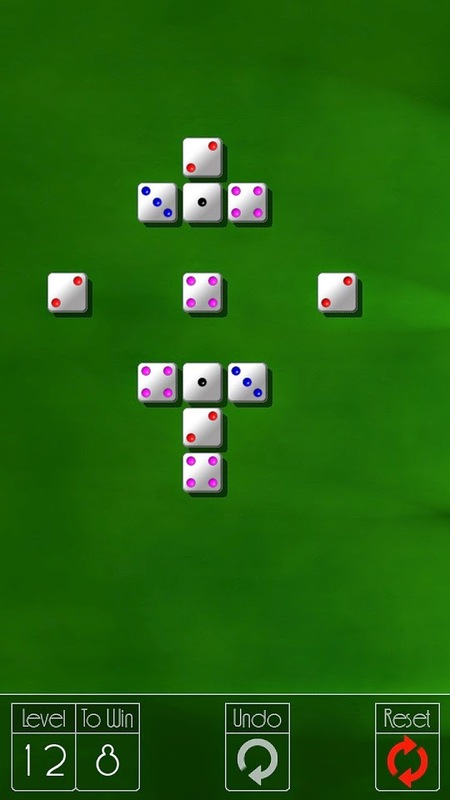 New game for Android, Diced! 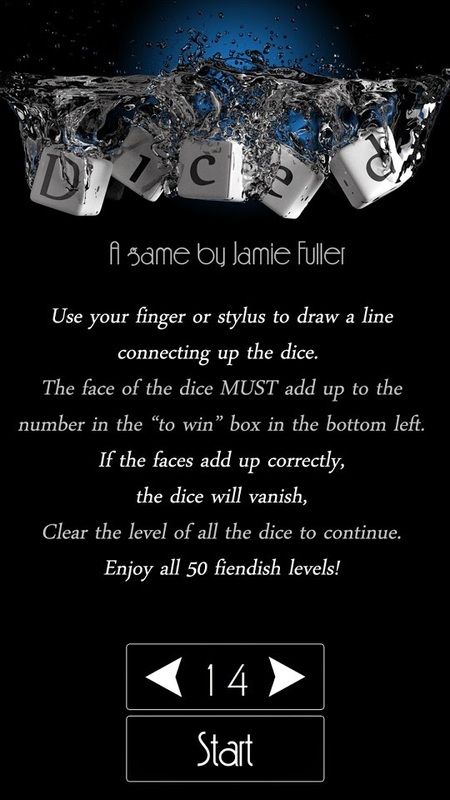 Use your finger or stylus to draw a line connecting up the dice. The faces of which must add up to the number in the "to win" box. If the dices add up correctly, they'll vanish. Remove all the dice and you'll access the next level. Apologies for the delay on posting, I've been spending most of my days recently either behind the camera or with my Daughter. however, I recently discovered an AMAZING piece of development software for android that really fired me up again, and encouraged me to write this post. The software? its called b4a (basic4android) and as the name suggests is just that, a VB like IDE for developing for android devices. 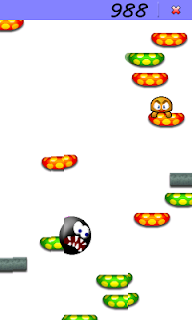 I have tried many many routes to creating a game for android and mostly fell foul of the overly complex set-ups before you can even begin writing code. That is absolutely a thing of the past with this software. From install to publishing on Google play store took just a few days. and now I know the system I imagine I could do a game within a day! Anyway, please check out the game! if any of you have an easynews account (and an n900) you can use this python script to automatically download any files in Queue 1. Its smart enough to determine if you have already downloaded a file and will not download the files again and again. it doesn't download the zip file but the files within it. Its been a while since I posted, I'm afraid I was drawn to the dark side and purchased a Samsung Galaxy S2.its a fantastic phone but thats not the point of this thread. I recently rewired my home network and decided I wanted to get a VPN appliance, but they are amazingly expensive...so I thought about a sheeva plug pc running linux with SSH tunelling...but even though they are small pcs, they are still pretty bulky and expensive. and then I spied out of the corner of my eye, my N900, gathering dust in my office drawer. After a good long charge the device booted up, I had already installed ssh so it was ready to go! I removed all non required apps and settings, IE email accounts and facebook etc. it has lynx on there for an emergency bit of text based browsing. I also installed X11VNC so I can remote in and control the phone should I need to. it also acts as a 32GB online storage device, and using truecrypt gives me full encryption of that storage should the device get stolen! I have a cheap timer plug which switches charging off for a few hours every day to allow the battery to drain. I'd love to hear others ideas of what I could add? I'm pleased to announce my latest game, this was a popular request from the talkmaemo website. 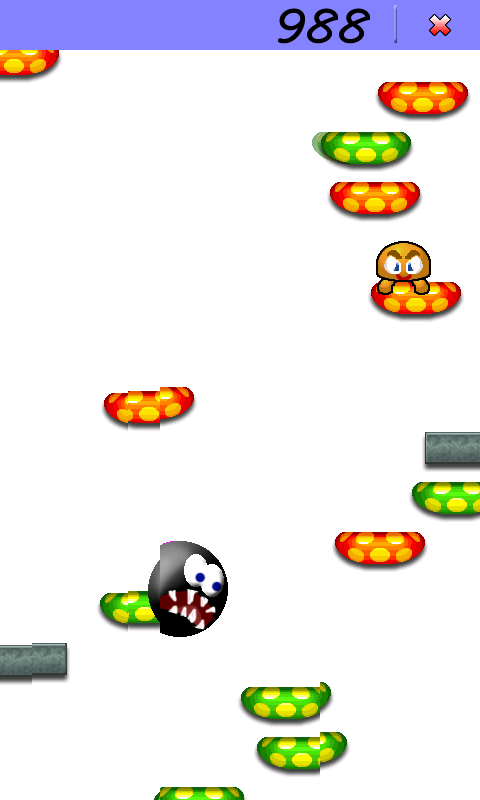 BounceBounce is a simple accelerometer controlled game, simply bounce your fella as high as possible. Different blocks have different bounce properties and watch out for the bad guy too! Can be found in extras-testing, and don't forget to vote! I've been playing with Python and Pygame over the last few days and decided to make a version of the best thing that is available for Android. 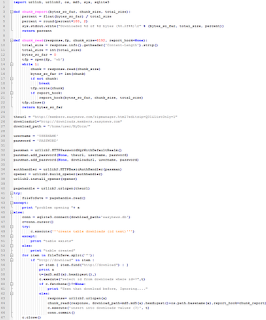 Its packaged as a zip file, simply extract to a folder on your n900 (preferably under your mydocs folder) and then launch the python file from xterm with "python game.py"